‘K. It’s Easter. Easter and chocolate are synonymous, right!? So I thought I’d do a step by step photo recipe of our morning in the kitchen. One of my nephews, Kaden, did all the hand rolling of the truffles. Great job, too! The first half of the recipe (so easy) should be done the night before. 1. 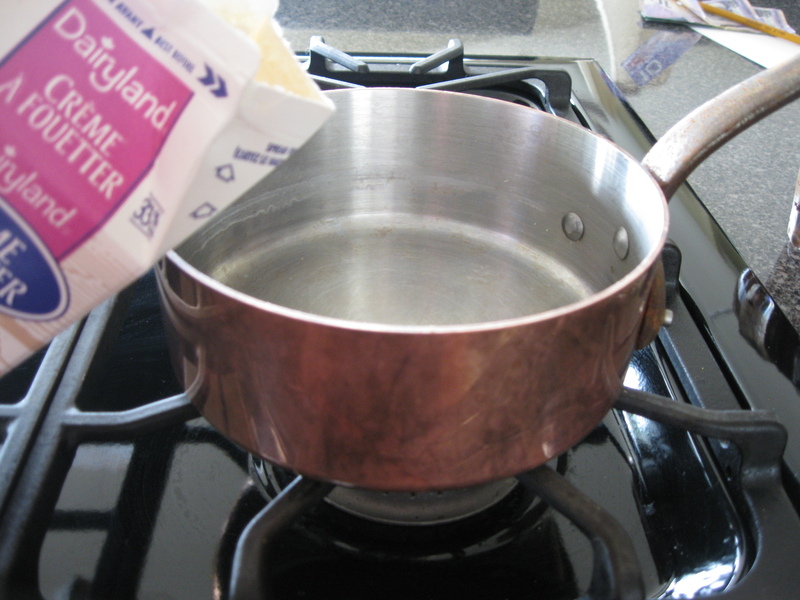 Pour whipping cream into a saucepan. Bring to slow boil, about 2 minutes. Turn off heat. 2. 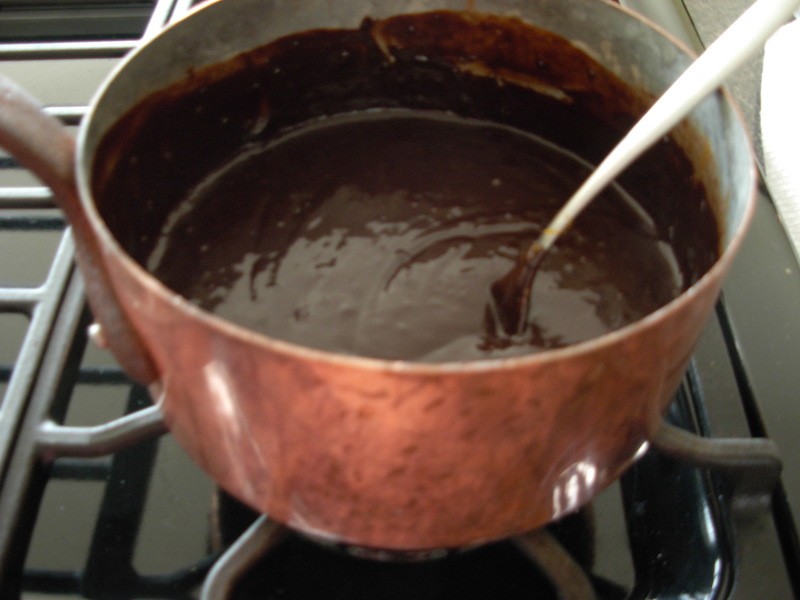 Chop chocolate and melt in the microwave for about 2 minutes, or until melted and runny. Stir to ensure it is entirely melted, no lumps. 3. 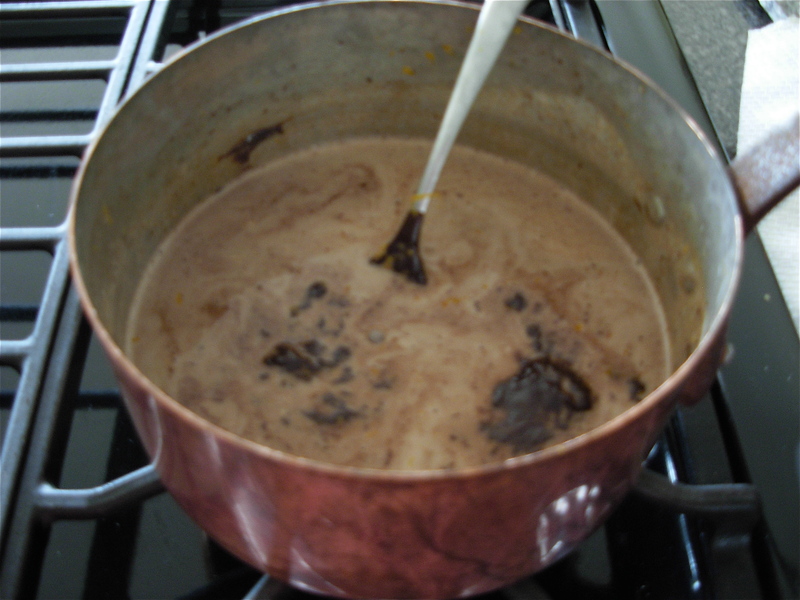 Pour the melted chocolate into the whipping cream, add vanilla and zest, and stir until combined well. About 2 minutes. 4. 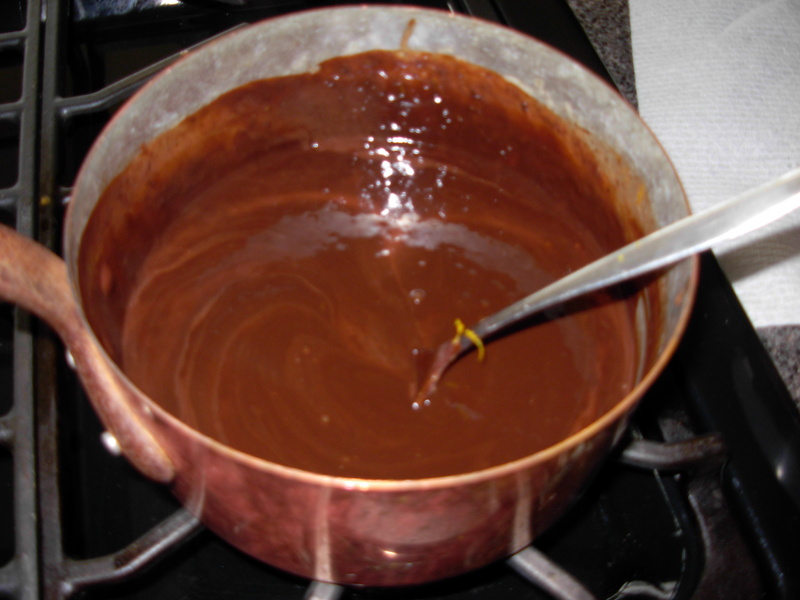 Put the entire mixture, now called ganache, into the fridge to set (usually over night) or cool it in an ice water bath for a couple of hours. 1. 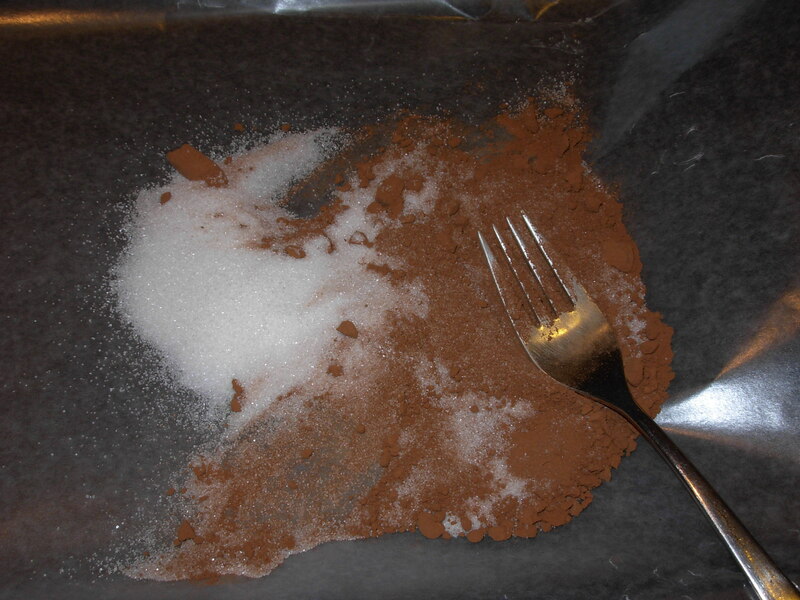 Combine 1/2 cup sugar and 1/2 cup cocoa and sprinkle over wax-papered cookie sheet. 2. 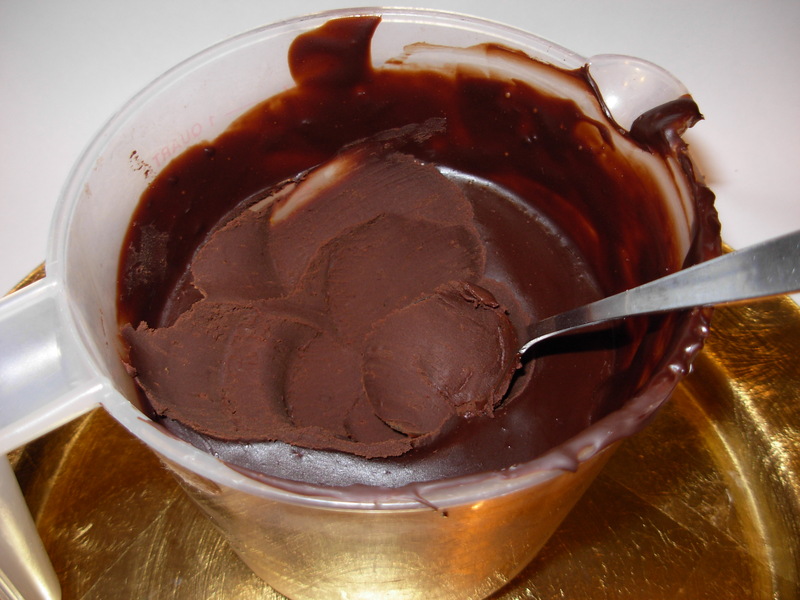 Remove the cold, thick ganache from the fridge and scoop out about a teaspoon of it. 3. Cover your hands with the cocoa mixture, and roll the spoonful of ganache in your palms until it is almost round (truffle shape). 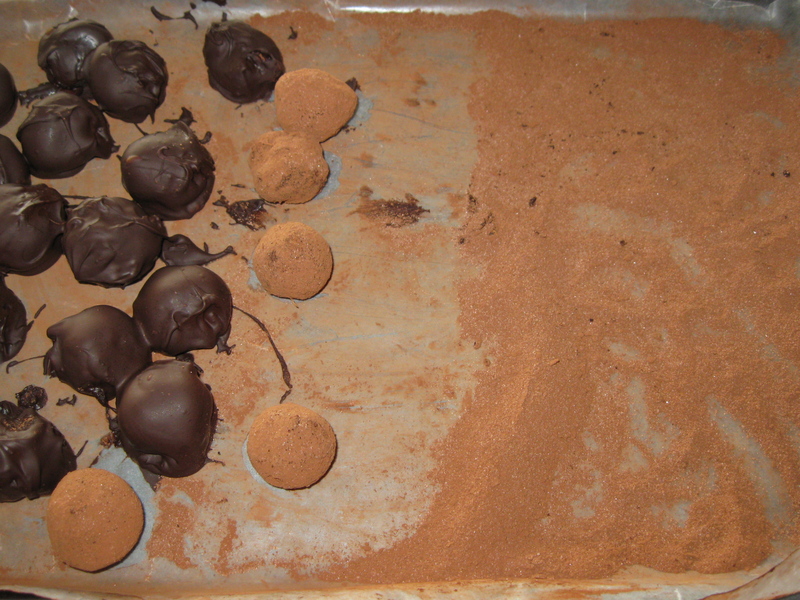 Roll the chocolate truffle in the cocoa mix. 4. 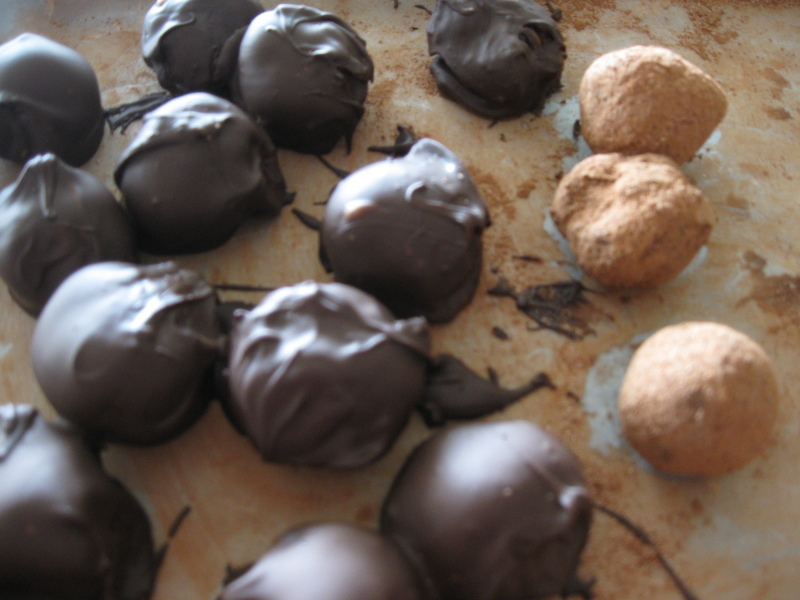 If you want to cover the truffles in a chocolate shell, melt more chocolate in the microwave until very hot and add a few chunks of solid chocolate to cool it down… (called tempering to make the coating shiny). 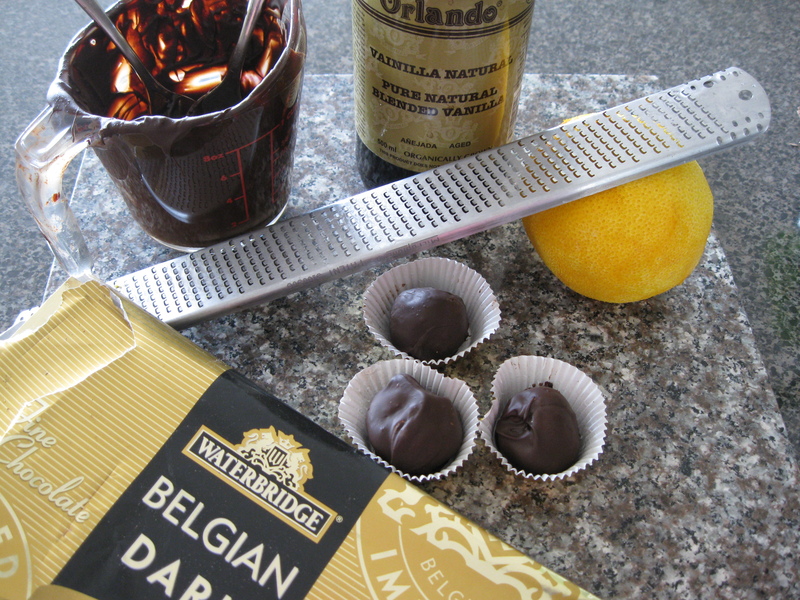 Using 2 forks, dip the ganache balls (cocoa covered or not) into the newly melted chocolate. 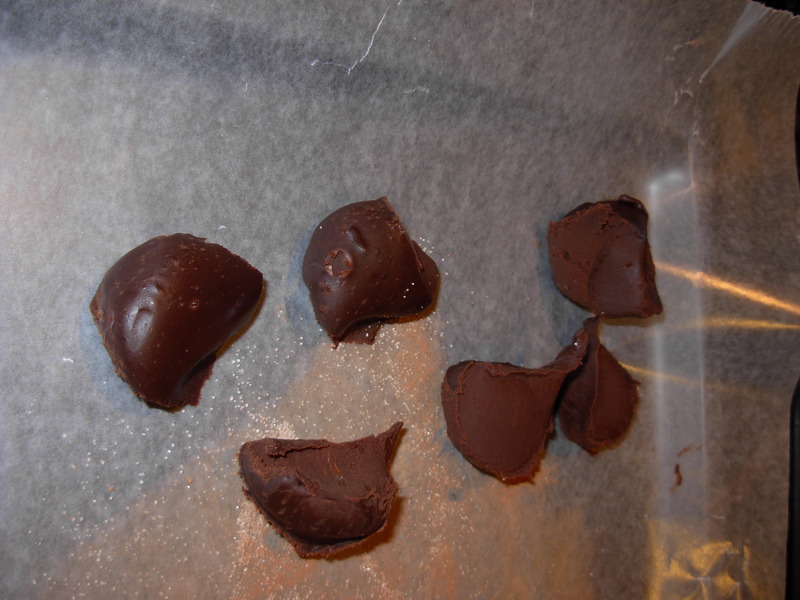 Let the chocolate drip off and put the chocolates on wax paper to set. 5. Keep the chocolates in the fridge or eat within a couple of days. Not too hard to do!